A blood test that measures the enzymatic activity of Lp-PLA2, a vascular specific inflammatory marker critical in the formation of rupture-prone plaque. 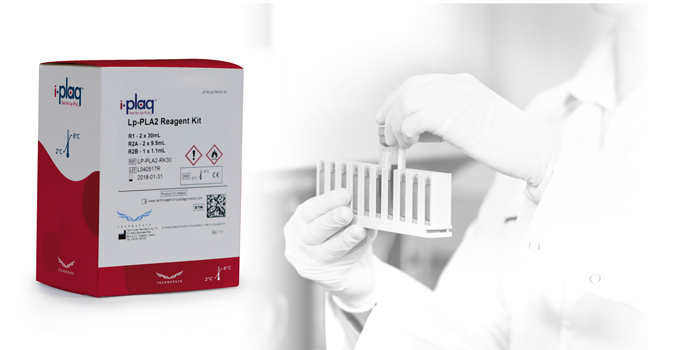 Suitable for a range of laboratories, the i-plaq product range includes two reagent kit size options, calibrators and quality controls. Lipoprotein-associated phospholipase A2 (Lp-PLA2) is categorized as a non-traditional risk factor for atherosclerotic cardiovascular disease (ASCVD).